Doncaster primary school, Castle Academy, is today celebrating the findings of an external review by national education charity, Challenge Partners. The professionally-led peer review praised the primary school for how well they know their children, and how they use this knowledge to plan and deliver engaging lessons. 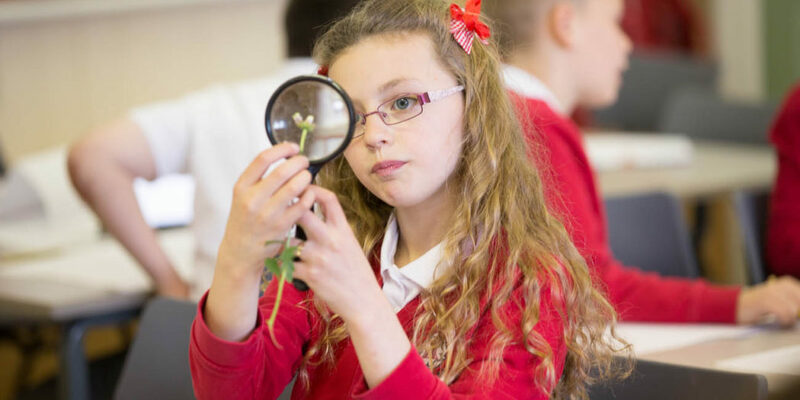 Challenge Partners is a charity that works with over 400 schools nationally, carrying out annual Quality Assurance reviews of schools focusing on teaching and learning. Castle Academy is part of the Astrea Academy Trust, a family of 25 schools in South Yorkshire and Cambridgeshire. * The Senior Leadership team has “good” capacity to make the further improvements that are needed, and have a clear plan of action to drive further change. * Castle’s curriculum reflects Astrea’s core values: responsibility and leadership; enjoyment and innovation; aspiration and development; collaboration and inclusion; honesty and integrity. * A focus on improving teaching and learning, including through targeted programmes on handwriting, phonics and reading. * Training for staff has been designed to develop and refine teachers’ practice. * Children and enjoy coming to school and the wide range of after-school activities. Under Ann-Marie Mason’s leadership, Castle Academy has introduced a number of new initiatives that are already making a difference. These include the introduction of the Talk for Writing strategy and the introduction of “Golden Time” – our new behaviour model where children are rewarded for good behaviour with minutes towards a chosen activity each week. Challenge Partners’ findings also resonate with the significant improvement that Castle is seeing academically. In 2017, only 32% of children achieved the expected standard in reading, writing and maths. In summer 2018, this leapt up to 53%, with children performing above the national average in reading and writing, and at the national average for maths. Libby Nicholas, Chief Executive of Astrea said: “This is an extremely encouraging set of findings from Challenge Partners, recognising the great work that has been going on at Castle Academy. It’s fair to say that the school has had a turbulent past, but the conclusions of Challenge Partners show just how much the academy has improved.